It’s accessories season ladies, and have we got a treat for you! 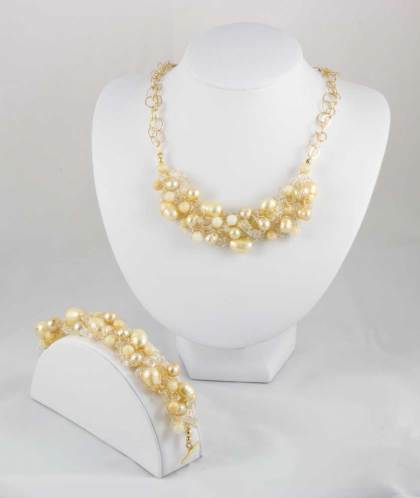 Meet Angela Lensch, our custom bridal jewelry artist! 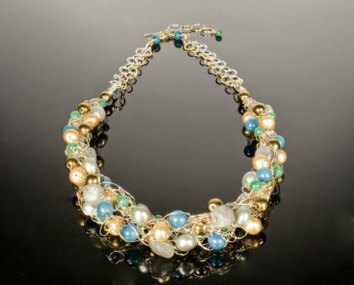 Using a specialized technique, Angela takes precious metals and weaves them together with gemstones and pearls, creating unique matrices of wearable art. Every piece is one-of-a-kind and hand made! These custom creations are ab fab for your big day, and they make great one-of-a-kind gifts for your maids! Bonus: They can be customized to fit your colors, so not only do your girls get an amazing gift from you, they will be totally synchronized for your photos!